The French Minister for Higher Education confirmed that the man had been killed. AN IRISH LECTURER has been killed in a stabbing in Paris. A man has been arrested on suspicion of stabbing to death the lecturer outside a university in the Paris suburbs, a police source said. The police source, confirming a report in the Parisien newspaper to AFP, said the suspect was a former student at the university who was born in Pakistan in 1981. The man was an Irish national who had been teaching at the university for a number of years. Pascal Brouaye – the head of the university – said in an interview with broadcaster LCI that the entire school community was stricken by the event. 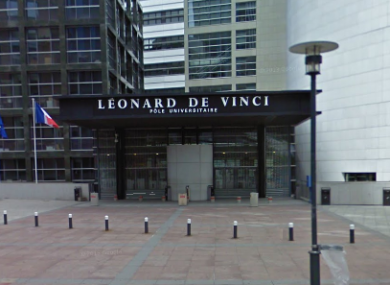 Frédérique Vidal – the French Minister of Higher Education – confirmed in a statement that a lecturer had been killed at the Pôle Universitaire Léonard-de-Vinci, in the La Défense district in the west of Paris. Email “Irish lecturer stabbed to death in Paris”. Feedback on “Irish lecturer stabbed to death in Paris”.